A crucial component of any vehicle is the oil system. It keeps the engine running smoothly by constantly lubricating it. Without oil in it, it will seize up over time and eventually destroy the engine. The oil is usually changed as part of a routine vehicle service and should be carried out at regular intervals. The reason for this is that over time, the condition of the oil can deteriorate leading to it having a lower degree of lubricity. Considering that it’s relatively cheap to change your oil yourself, it makes sense to do it to prolong the life of your engine. However, when ever you change over the oil you also need to put on a new oil filter. What is the oil filter used for? As the name suggests, it is a filter for your oil! The majority of filters attach to the underside of your car by simply spinning onto the filter mount point. The reason for needing this is that over time, the oil will become dirty. This is due to the fact that engines can get mucky due to products of combustion accumulating in it. Since the oil is lubricating the engine, it is prone to pick up these dirty particles as well. Considering that oil is constantly being pumped around the engine, if the dirt was allowed to build up in it would decrease its viscosity. This effectively means that it becomes thicker and therefore harder to pump around the engine, thereby negating its purpose. However, by adding an oil filter into the system, it will collect these dirty particles. This allows the oil to carry on flowing through the system and therefore keeping the engine lubricated. There are literally hundreds of oil filters on the market with some that can be picked up for a real bargain. However, this is actually a false economy. The reason for this is that the ones that are extremely cheap can have a poor filter material in it. This means that the filter doesn’t last long and you therefore need to change it. Likewise, some cheaper filters have a poor gasket seal. This is used to make sure that the filter is securely mounted against the mating plate on the engine. Since the oil is pushed around the system at high pressure, it is important that the pressure is maintained. For the extremely cheap filters with a poor gasket seal this pressure is comprised. This is due to the fact that the seal can wear away extremely quickly and therefore cause a gap to be present between the filter and the engine. This therefore means that the oil will pump less freely around the engine. Tied to this is that it can also cause oil to leak from the system since the seal has been compromised. This is not unlike when you cut your finger. Blood will still circulate around the body, but some will also start to leak which is less than ideal. In an engine, this can be catastrophic since a severe loss of oil will result in engine failure. It is also especially harmful to the environment. Generally speaking, synthetic filters work a lot better than filters made from naturally occurring materials. This is mainly thanks to the synthetic filters being able to withstand a great degree of pressure and also collect more dirt. Quality of gasket seal. As mentioned above this has a major impact on the filter to carry out its task properly. Extremely cheap filters should be avoided as previously discussed. However, if you’re spending more money on an oil filter than you are on oil then there’s something wrong. Generally speaking the filter should be cheaper. This is not the case though if you’ve bought cheap oil which should also be avoided. Durability of outer casing. This may sound like a strange thing to look out for. However, consider for a moment where the oil filter is; it’s under your car. Therefore, it’s at the constant mercy of any rubble and debris on the road. The filter needs to be able to withstand taking a beating from any potential hits it may take along the way. Durability of filter material. The more durable the filter material inside the casing, the longer it will last for between service intervals. More durable materials reduce the chance of the filter breaking up and entering into the oil. Online reviews for the filter. With the ability and ease to post reviews online, there’s no reason not to do it. This means that people can quickly and easily give feedback about the quality of oil filter. It also shows how well the product line is doing over time. Perhaps the product was once made well and then corners were cut so it should be avoided. The inverse is also true. So now you know what an oil filter does, the bigger question that not every filter will fit every car. 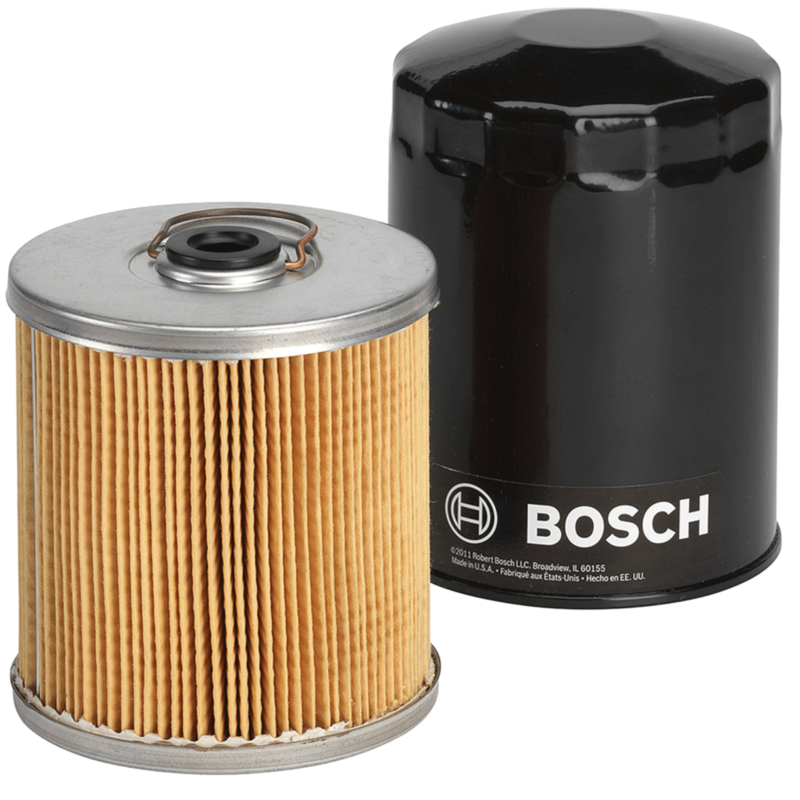 Therefore, we have compiled a list of the best oil filters. This should therefore allow you to pick one of these filters since there is a greater chance that at least one will fit your vehicle. Since these are picked from Amazon, there is an added benefit to this. In the automotive section it gives you the option to put in your vehicle details. Therefore, when you select one of the filters mentioned below it will instantly tell you if it supports your car or not. Bosch is renowned for providing high quality products for a low price. This item is no exception. Not only does it come in at a great price, but it also has a great level of durability. This is thanks to the casing being made from both aluminium and also steel.The Premium Filtech Oil Filter is one of the best that you can buy thanks to these traits and also its wide compatibility with a wide range of vehicles. Currently it has a 4.6/5 star rating on Amazon making it one of the best that you can buy. In terms of how much its capacity, the Filtech is able to hold 14 grams of dirt within the unit. A rather smart design feature included in the Filtech is the addition of an anti-drain back valve. What this means is that when the engine is stopped, oil will not start to flood the filter due to there not being any pressure present. Instead, it will remain in the lines in the engine. This therefore allows an easier warm up of the engine since the oil is readily available. Mobil 1 are also world renowned when it comes to motor lubricants. Much like the Bosch Filtech, the M1-110 Extended Performance filter is extremely durable. It also has a higher rating on Amazon just now when compared to the Bosch version with its rating being 4.7/5. However, it is also double the price of the Bosch variant. It does though have the ability to hold double the capacity of the dirt when compared to the Bosch. The M1-110 can contain 28 grams of dirt within its filter media.Further, the filtration efficiency of the M1-110 is 99.6% which is exceptional. This could be classed as an oil filter that it better suited to high performance vehicles, or ones which are subjected to harsher driving conditions. Moreover, there are numerous filters under the M1 product line that have different fitment sizes. What this means is that you should be able to find one easily that will fit your car. The M1 also has an anti-drain back valve present. Hopefully this article has been of some use to you and that you’re now able to decide to decide on which oil filter to buy for your car.